There are many movies in the Bollywood which have been remade from the South Indian blockbuster films. There’s nothing new in this case as you would find films of Bollywood in a large amount which are a remake of some Telegu, Tamil or Malayali film. The blockbuster South Indian films are remade in the Hindi form with the same thought that they will also be successful but not all films go up to that mark. You will see many films which were super hit at the South Indian box office but went on to be a complete disaster in Bollywood. Let’s check out some of the remakes of successful South Indian films which went on to be complete disasters at the box office. Khatta Meetha is a Bollywood film which was released in the year 2010. The film is the remake of a Malayali film Vellanakalude Nadu. Talking more about the film Khatta Meetha, it wasn’t a success at the box office and the Bollywood fans were quite disappointed after watching this movie. The movie was of comedy genre but it could not do the magic on the big screens and went on to be a flop film. It received mostly negative reviews from the audiences and the critics. Bodyguard has been one of the lowest rated films of the Bollywood. The film went on to be a disaster at the box office and it was totally criticized by the fans. Bodyguard is the remake of the film ‘Bodyguard’ (Malayalam version) which was released in the year 2010. Even a superstar like Salman Khan couldn’t stop the film from being a super flop by his presence and thus it received negative opinions from the audiences and the critics. 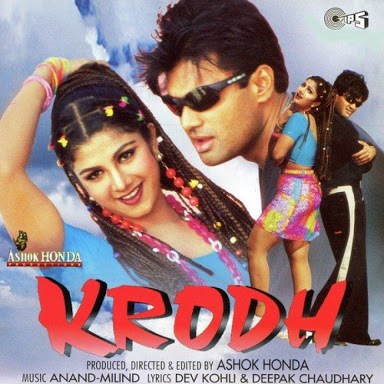 Krodh is a Bollywood film directed by Ashok Honda which was released in the year 2000. The film is a remake of a 1996 film named Hitler, which was Malayalam. The film features Sunil Shetty in the Hindi version who plays the role of an angry man with responsibilities. The movie is one of the lowest rated films of the Bollywood as it did not perform well at all at the box office. The film went on to be a complete flop at the big screens. 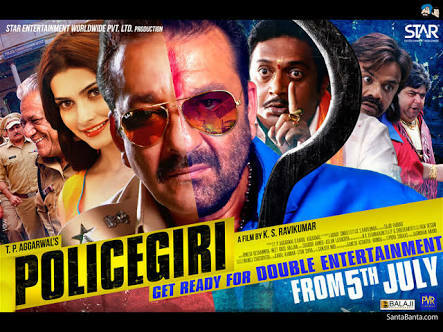 Policegiri is a terrible remake of the Tamil film Sammy. The film features Sanjay Dutt in the leading role where he completely fails to gain any interest of the audience watching him. The movie revolves around a rough tough cop who also puts a little spice of comedy. The film went out to be a total flop and was very well criticized by the audiences and the critics. Youngistan is a Bollywood film directed by Syed Ahmad Afzal which was released in the year 2014. The film is a remake of the Telegu film Leader. 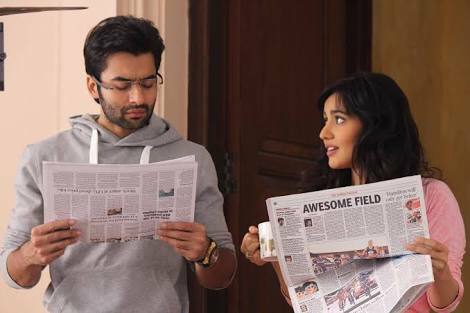 The film Youngistan is based on the political scenario existing in India and a love story which gets affected due to the politics. The film did not receive a great response from the Bollywood fans and went on to be a failure at the box office screens. Khushi is a Bollywood film directed by S.J Suryah which features Kareena Kapoor and Fardeen Khan in the lead roles. The film Khushi is a remake of a Tamil film which has the same name. The film did not appear to be a success at the Bollywood box office and received mostly a negative response by the fans. However, the Tamil version of the film went on to be a blockbuster and gained immense success at the box office. Mujhe Kucch Kehna Hai is a Bollywood romance film directed by Satish Kaushik which features Tusshar Kapoor and Kareena Kapoor in the lead roles. The film is a remake of a 1998 Telegu film ‘Tholi Prema’. The Telegu version of the film went on to be a superhit at the box office however in comparison to that, the Hindi version was not that successful at the box office screens and received mainly mixed reviews from the audiences and the critics. Tevar is a Bollywood action film directed by Amit Sharma which features Arjun Kapoor and Sonakshi Sinha in the lead roles. The film Tevar is a remake of the Telegu film ‘Okkadu (2003). 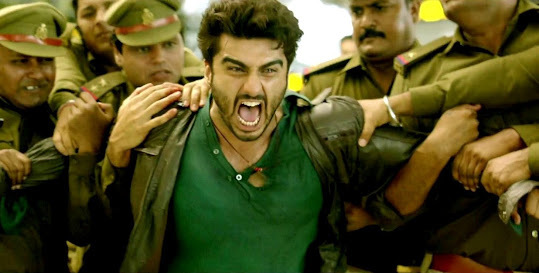 Tevar did not go up to the mark at the box office and received a lot of criticism from the audiences and the critics. The film was rated very low by most of the critics and thus it was just not the kind of film that fans expected it out to be. The film Big Brother is a Bollywood film directed by Guddu Dhanoa which features Sunny Deol and Priyanka Chopra in the lead roles. The film ‘Big Brother’ is a remake of the film ‘Baashha’ which featured Rajinikanth and Nagma in the lead roles. The film Big Brother went out to be a complete flop at the box office as the response was totally terrible by the Bollywood fans. On the other side, if we talk about Baashha, the response was completely opposite. The film Baashha went out to be a complete success at the box office and received all positive by the fans. 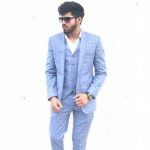 Ek Deewana Tha is a Bollywood film directed by Gautham Menon which featured Prateik Babbar and Amy Jackson in the lead role. The film Ek Tha Deewana is a remake of Gautham Menon’s own Tamil language based film Vinnaithaandi Varuvaayaa. The film Ek Tha Deewana went out to be a total disaster at the box office and was declared as a flop. The film was based on a love story which involves two different religions due to which difficulties arise. However, the things were opposite for the Tamil version of this film. The Tamil version of the film went on to be a completely successful film and received super positive reviews from the audiences and the critics. Are You A Priyanka Chopra Fan? Answer These Questions To Prove How Well Do You Know Her!